Ensure that the FRAZER system is not open on any computer. To do this check for the words "Frazer Software" on the task bar at the bottom of the main (server) computer screen. Insert the storage device into a USB port and click on the shortcut on the desktop. Click on and choose the drive letter for the external device. Status will show "Backup Successful" if the backup was successfully done. 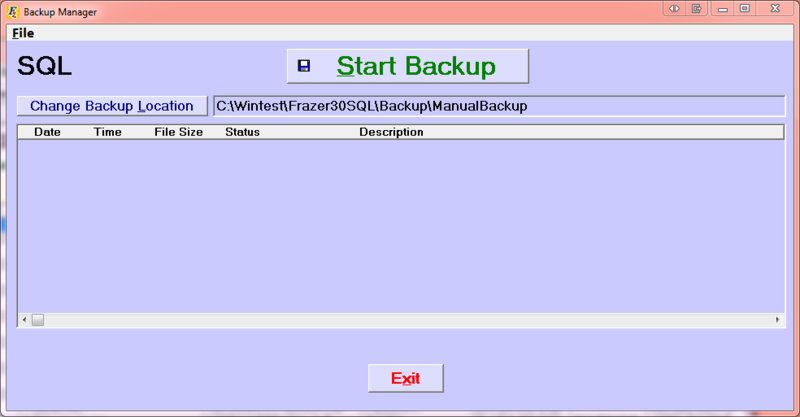 The name of the backup and path will also display.